Steven (Chicagoland, United States) on 20 December 2010 in Architecture and Portfolio. 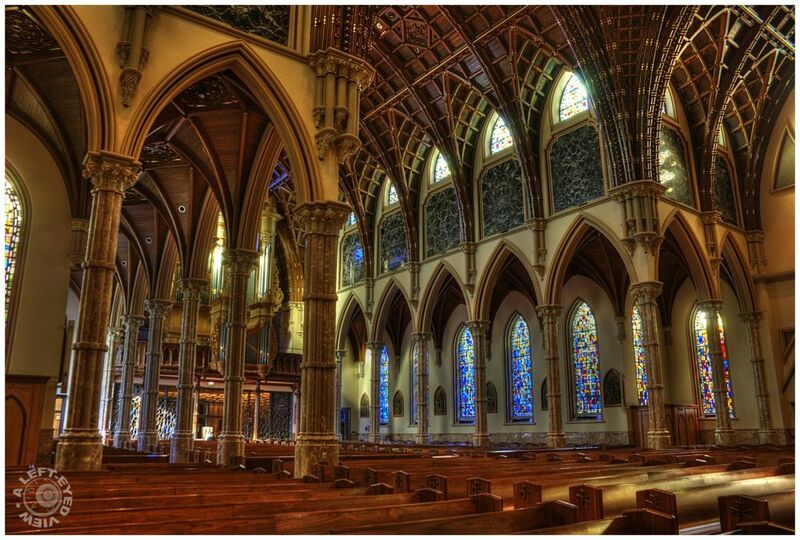 My return visit to Chicago brought me back to Holy Name Cathedral to get some more photographs of the interior. Gothic arches form arcades over the side aisles. Here we are looking toward the rear of the cathedral from the transept. I read "Pillars of the Earth" a while back. Seeing this photo brings back the descriptions Ken Follett used in the book. A spectacular image! Spectacular is right! Best I've seen of this interior! A splendid place and POV, enhancing this powerful architecture. What a wonderful work they've achieved here ! very impressive building, well captured and presented! between myth and religion:a thousand and one ... arch. An unreal picture, but not transcendental. excellent shot! What a great perspective Steven...we see all of the beauty of this Cathedral. And you are right, there are Arches on top of Arches here...so magnificent! I also like how you even retain the detail of the stained glass windos even though this is a "broad" shot....VERY nicely done here Steven!!! All the best! Back where you belong, doing what you do best Steven. The details on the windows, such a bright ambiance!!! Superbe lumière ! peace ! Gorgeous hdr ! Very well done ! The detail that emerges from your presentation here is amazing . . my church interiors are all about shadows in comparison. Incredible detail and stunning colours!